Gilbert Kirwa of Kenya and Germany’s defending champion Fate Tola will compete at the 2018 HAJ Hannover Marathon on Sunday 8 April. Kirwa has a strong personal best of 2:06:14 while Tola has already run 2:25:14. Both course records, which stand at 2:08:32 and 2:27:07 respectively, could come under threat at the 28th edition of the event. 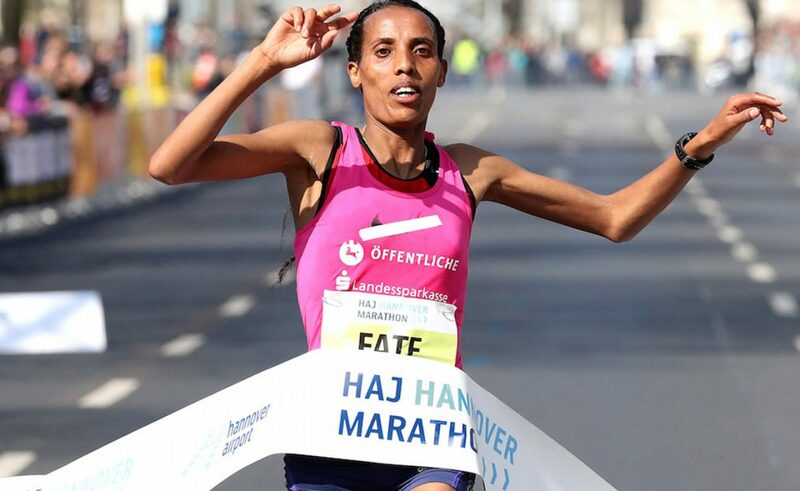 The HAJ Hannover Marathon has in recent years established itself among the best German races at the classic distance. Regarding the quality of the elite field Hannover will probably be number four again this year behind Berlin, Frankfurt and Hamburg. Additionally the Association of German Road Races (GRR) honored the HAJ Hannover Marathon a few months ago for their organisational skills. A half marathon which will include the German championships is staged parallel to the marathon on 8th of April. Gilbert Kirwa will look forward to coming back to German speaking territory since he celebrated his two biggest career wins in Vienna and Frankfurt in 2009. First he took the Vienna City Marathon in spring with 2:08:21 and then he clocked a strong personal best of 2:06:14 when winning in Frankfurt in the autumn. On the very flat course in Hannover, which was improved for this year’s race by taking out several corners, Kirwa will hope to get back to his best. The 32 year-old Kenyan, who has run sub 2:08 times on five occasions, had two difficult years because of injuries. He fully focusses on the HAJ Hannover Marathon on 8th April and has not run another race this year. Among Kirwa’s rivals are a former Hannover winner and one of the most consistent European marathon runners in recent years - Cheshari Jacob. Jacob took the HAJ Hannover Marathon three years ago with 2:09:32. The Kenyan has a personal best of 2:07:46 which he ran in Frankfurt in 2013 when he finished fourth. Poland’s Henryk Szost features a personal best of 2:07:39. He showed a fine performance in the Frankfurt Marathon last October, where he finished seventh with 2:10:09, just missing a sub 2:10 time in very windy conditions. Former Ethiopian Fate Tola, who became a German citizen two years ago and since January competes for local club Hannover Athletics, will be the favourite in the women’s race once more. 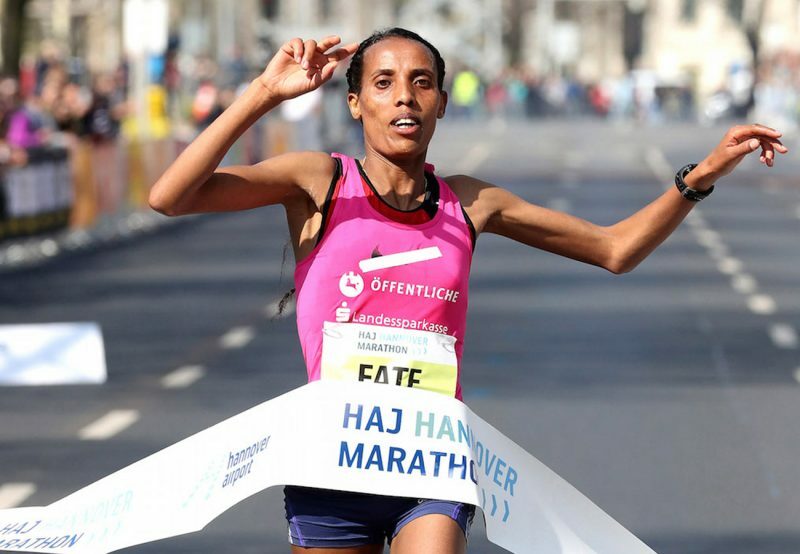 Last year the 30 year-old, who lives in Germany with her family, won the HAJ Hannover Marathon with 2:27:48. However she was not fully satisfied with her result as she had targeted and missed the course record. Now she wants to make sure to break the mark of 2:27:07, which Ukraine’s Olena Burkovska ran in 2013. Among her rivals will be China’s Yue Chao and Kenya’s Recho Kosgei, who have personal bests of 2:29:26 and 2:30:09 respectively. The HAJ Hannover Marathon is an IAAF Silver Label Road Race. Online entry for the event is still possible at: www.marathon-hannover.de.